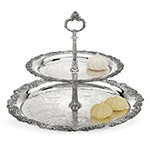 Reed and Barton has long been known for manufacturing high quality silver items. 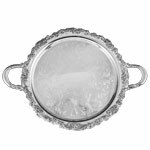 The Burgundy collection of silverplated hollowware showcases some of the more ornate design accents, inspired by the popular Burgundy sterling silver flatware. Click on your item of interest for complete information!